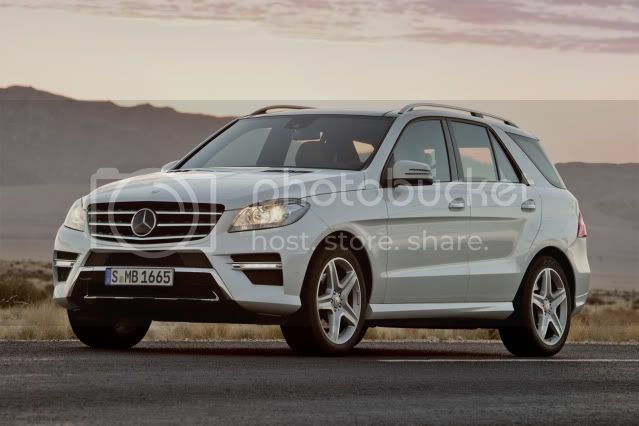 Following its leak on the interweb, Mercedes has unravelled the new M-Class large SUV. 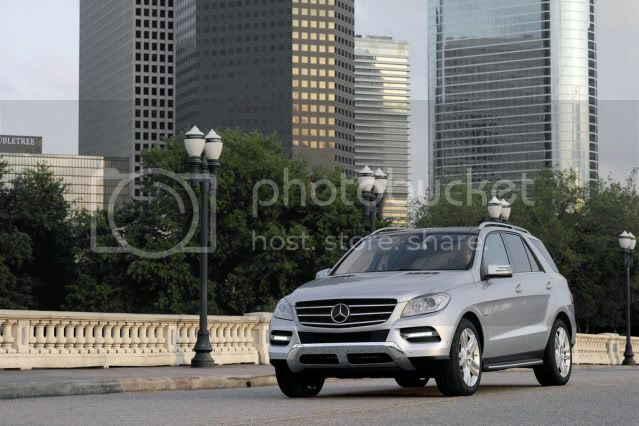 The new M-Class has a few surprises in store, including a 4-cylinder diesel engine for the first time. 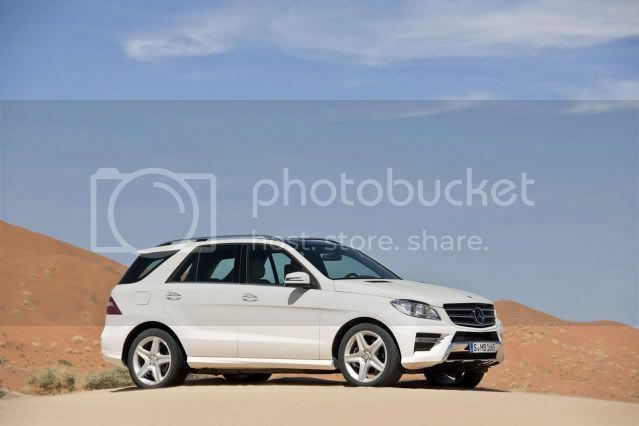 The compact 2.1 litre unit, known in the M-Class as 'ML250 CDI Bluetec' is powered by twin-turbochargers that produce 201bhp (204PS/150kW) and 500 Nm (369lb-ft) of torque. Although British sales of this engine is yet to be confirmed, in Mainland Europe, the engine is expected to nab a majority of sales, thanks to its standard stop/start system and 7G-Tronic semi-automatic which gives a 47mpg (6l/100km) combined fuel economy figure and carbon emissions of less than 160g/km. 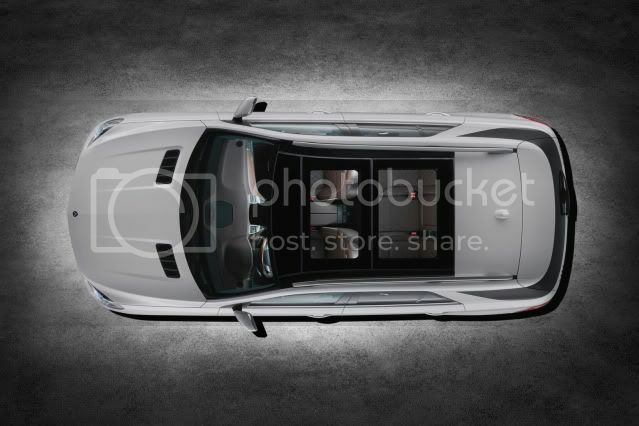 This gives a hypothetical range of over 900 miles (1,448km) with the optional 93 litre fuel tank. 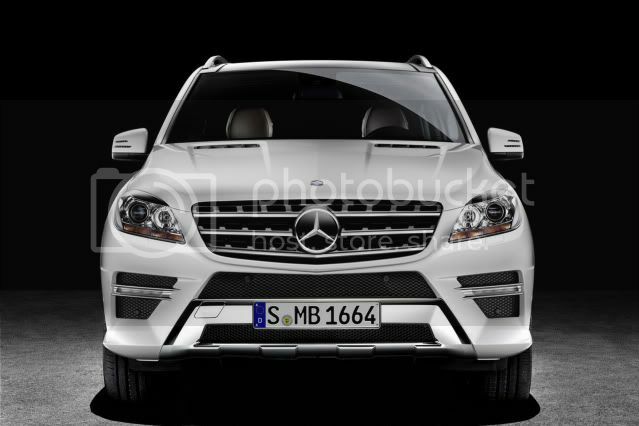 Next up is the ML350 Bluetec, which uses a 254bhp (258PS/190kW) 3.0 litre V6 diesel that creates 619Nm (457lb-ft) of torque. 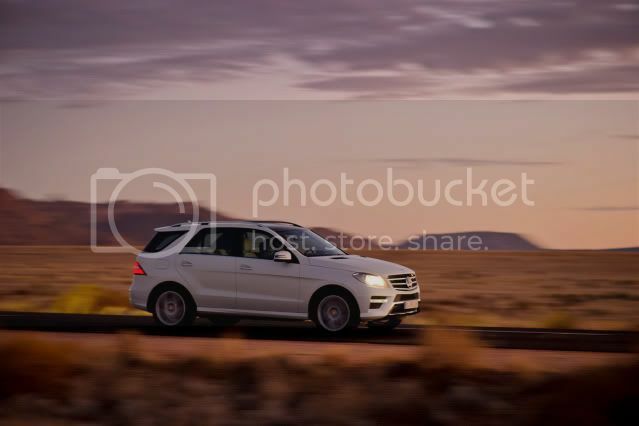 There's only one regular petrol engine on offer; a 3.5 litre BlueEfficiency that kicks out 302bhp (306PS/225kW) and 370Nm (273lb-ft) of torque, that gives the ML350 a top speed of 146mph (235km/h). 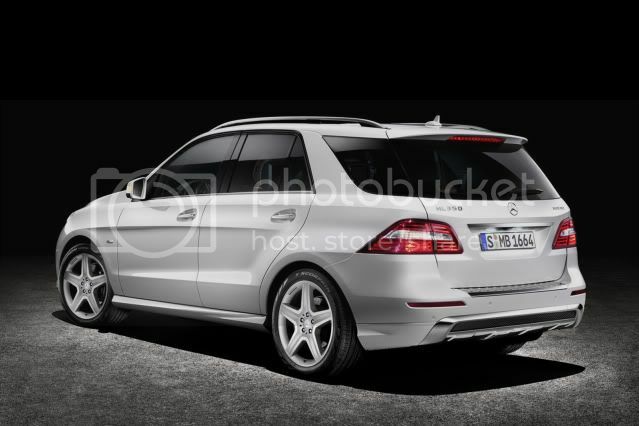 An AMG and hybrid variant of the ML is in the pipeline. 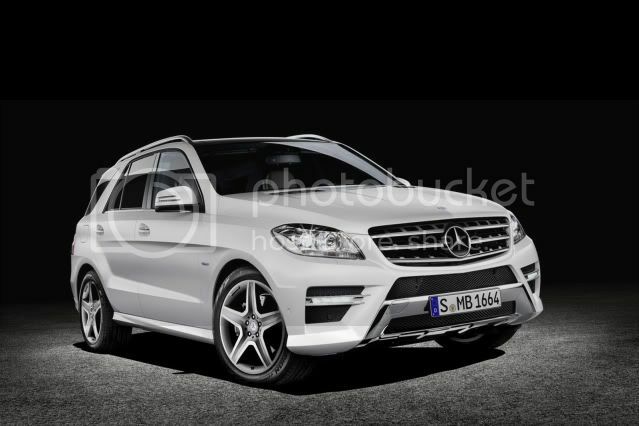 The AMG will be powered by a 5.5 litre V8 that expels 536bhp (529PS/400kW), while the latter will be a diesel-hybrid called the ML300 Hybrid. 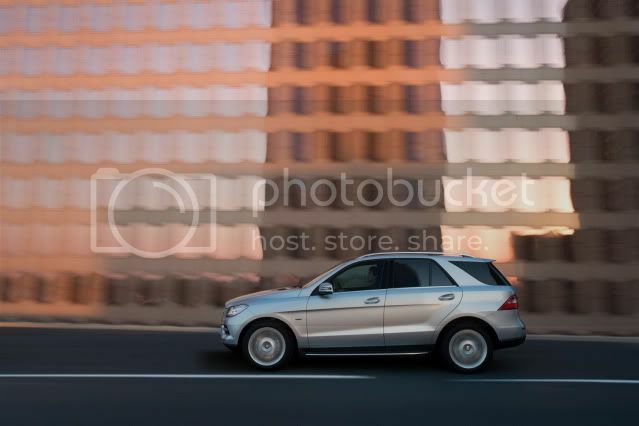 This utilises a 20bhp (20PS/15kW) electric motor and the 2.1 litre CDI to offer fuel economy of 54.3mpg (5.2l/100km). 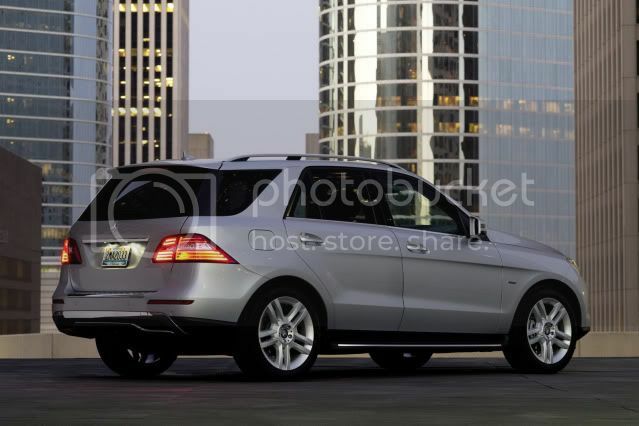 Externally, the M-Class design is an evolution, to make it instantly recognisable as an M-Class. 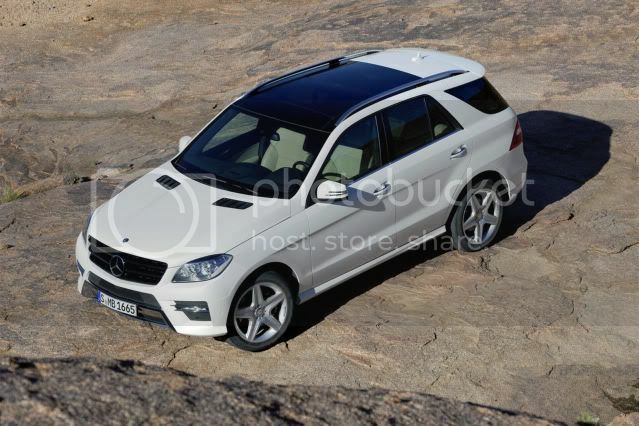 Not startling since the actual design elements and proportions mirror the previous model. The W166 is 4,804mm long, 1,926mm wide and 1,796mm tall, making it 24mm longer, 16mm wider and 19mm lower than its successor, while retaining the same wheelbase of 2,915mm. 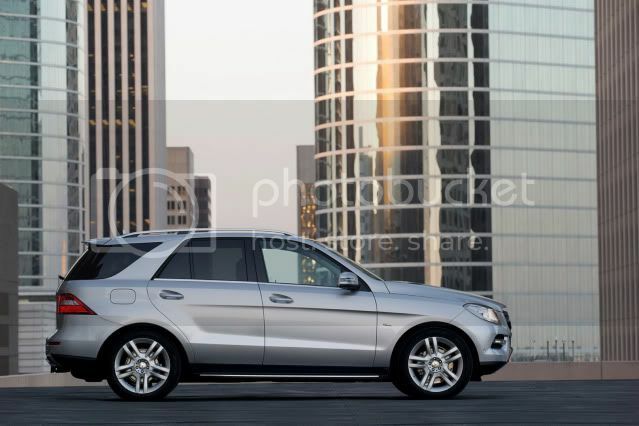 Base models obtain 17” alloy wheels, rising to 21” with engraved AMG lettering. Inside, it offers seating for five people in two rows. 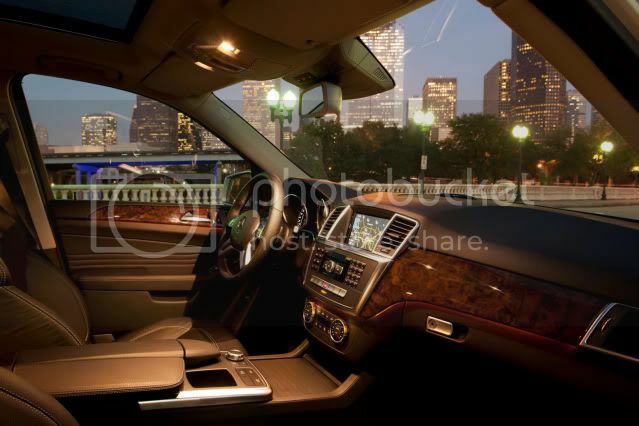 As with the exterior, the interior is all new and looks and feel more superior than the outgoing model. 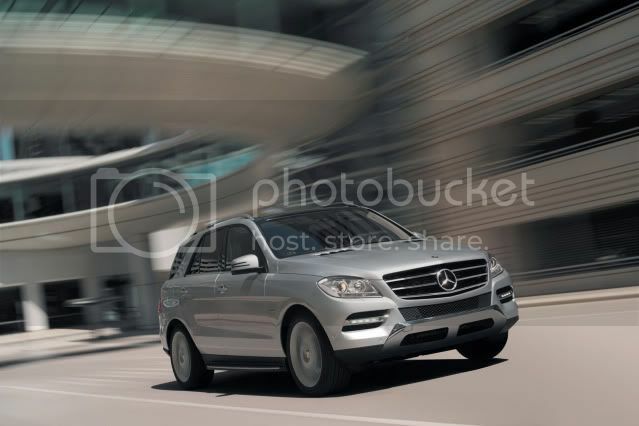 The M-Class can be specified with new technologies like Active Curve System, Night View Assist Plus (with pedestrian recognition), Speed Limit Assist, Lane Keeping Assist, Blind Spot Assist, Active Park Assist and Distronic Plus. 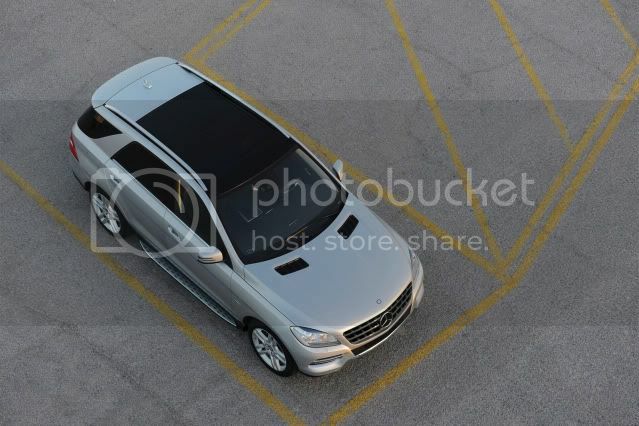 Other optional feature include bi-xenon headlights w/LED daytime running lights, panoramic glass sunroof, LED rear lights, electric bootlid, Nappa and natural leather, heated rear seats, electric front seats w/memory, On/Off package, auto-dimming exterior mirrors, Harman Kardon sound system, and optional alloy wheels. 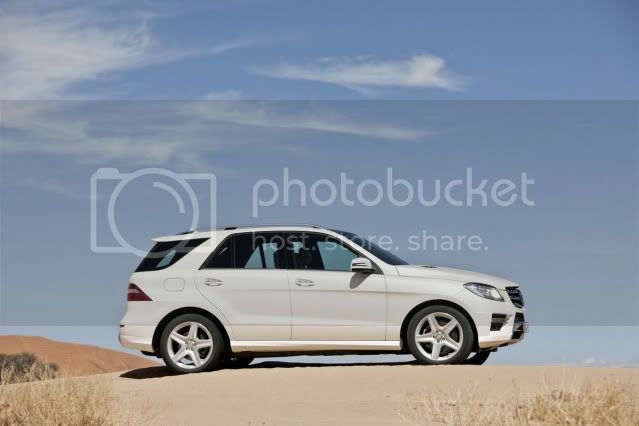 Sales start in Spring 2012, after its public debut at the Frankfurt motor show.